I’ve settled into a quite a regular skincare routine lately, so I wanted to share with you the products I’ve been using and how I’ve been getting on with them. You might remember me saying over the last several months that my skin had been playing up a lot – I’d been getting flaky patches even on my oiliest parts, so I was getting pretty confused about what I should be putting on my skin. As it turns out, my skin type is oily but dehydrated – I learned this at an event for Dr Lewinn’s skincare last month (where I also had a super flattering facial..!). As soon as I learned that my skin was dehydrated, I set about looking for some new skincare to address that. 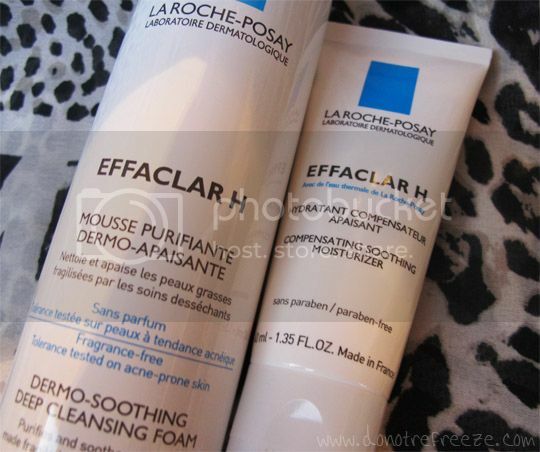 The Effaclar H range from La Roche Posay seemed like a smart choice, and I’d only heard good things about the brand. The Effaclar H range is targeted towards those whose oily skin has been damaged and dehydrated by using the wrong skincare products or drying acne treatments. I’ve been using the Effaclar H Deep Cleansing Foam and the Effaclar H Soothing Compensating Moisturiser, and I must say I’m impressed. I LOVE the cleanser – it’s similar to hair mousse in the way that it sounds like an airy liquid when you shake the can but when you pump it, out comes a burst of real foam! It doesn’t have too much of a scent, and it really lifts the crap from my skin and pores. It works especially well with my Clarisonic Mia 2, but equally well with just my hands on the days that I don’t use the Clarisonic. I can’t squirt it directly onto the brush head though like I do with other cleansers – I have to squirt it into my hands, dot it around my face and then use the Clarisonic like that. 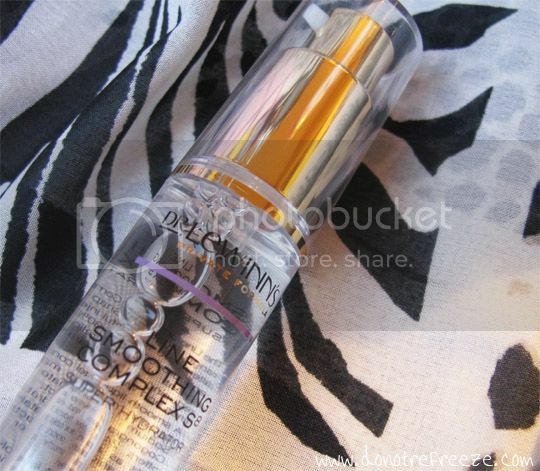 The moisturiser is astounding too, you only need the tiniest bit and it feels SO rich without being greasy or oily. It does take a little while to sink in fully, maybe 5-10 minutes, but it offers some serious hydration. 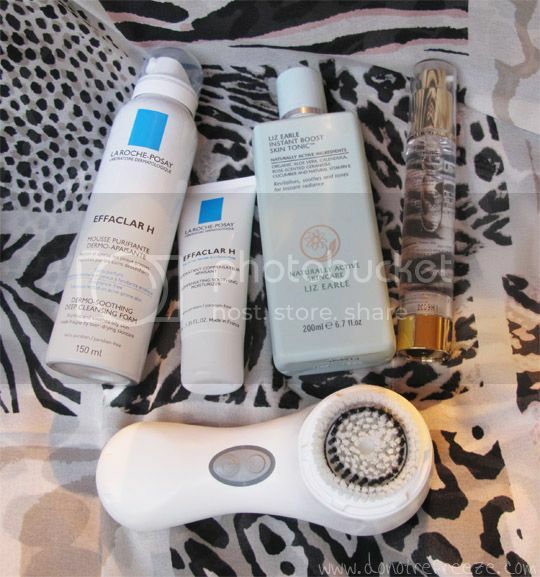 I reckon these La Roche Posay products are excellent value for money anyway and I will definitely be repurchasing them. Escentual are offering 1/3 off La Roche Posay (and other French pharmacy brands) for the month of September, so if you fancy trying it now is the time! Serum is something I never used to bother with in my skincare routine, but since I started using the Dr Lewinn’s Line Smoothing Complex Super Hydrator* I’ve really noticed a difference in how hydrated my skin is. They call this a drink of water for your skin – and it really is. It doesn’t feel an awful lot thicker than water when you pump it into your hand, but your skin soaks it right up and maintains the moisture for up to 24 hours. I like that your skin absorbs it instantly, as it means I can apply my moisturiser straight afterwards. This is really pricey, at £41 for 30ml, but it’s had such a good effect on my skin that I’m very tempted to repurchase it. I’ve been using it every day for nearly a month and you can barely even notice I’ve used any, so I imagine it will last a fair while! If you’ve got the money, I’d definitely recommend this. I don’t remember to use a toner every time I cleanse, but I always splash my face with cold water when I’m done anyway so I guess it’s not important. 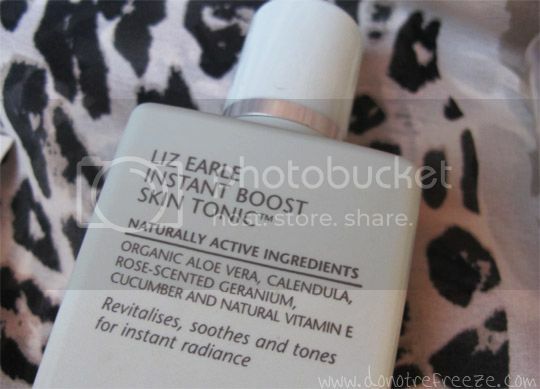 When I do remember though, the Liz Earle Instant Skin Boost Tonic* is the only one I use. This has lasted me an absolute lifetime. It is available in a spray bottle, which I would prefer but this one is in a bottle without a spray pump. I just bought a little spray bottle from Muji to decant some of this in, as spraying is so much less hassle. As much as I love Liz Earle, I have to admit I think it makes an awful lot of difference to my skin but I love the classic Liz Earle herbal, floral scent which is the main reason I use it! All in all, my skin has been feeling so much more hydrated and refreshed lately. I’m really enjoying the products I’ve been using, and as much as I love trying new things I think I’ll be coming back to these ones for a long time. What products are featured in your current skincare routines? Have you tried any of these products? I’ve Got A Pocket, Got A Pocketful Of Sunshine! I really like the skin care brand La Roche Posay, but recently I found just as good and cheaper cosmetics on the website Yves Rocher. Does anyone of you know this brand? I’m mostly using Witch foaming cleanser and TheBody Shop Seaweed mattifying day cream. I love Effaclar K lotion and the gel cleanser was quite good. I tried the compensating moisturiser but it was too heavy for me. I was going to try the Body Shop’s Seaweed range ages ago and never got round to it… is it good? I used to think most moisturisers were too heavy for my because of my excessive oil levels, but it turns out that I need a heavy moisture because it discourages my skin from producing too much! I love LRP Ceralip! My skin’s really not playing nice at the moment (flaky yet oily bits too) so I’ll have to give this a try. Ooh, I’d not heard of that one, I’ll look into it! Flaky and oily is such a rubbish combination, hopefully some of these products will work for you. Nothing works for my skin and I am really depressed because of this reason.Please suggest me something. I tend to get dry flaky spots too. I’m gonna give this a shot. Thanks a bunch.